Plant and flowering spathe. This is a rare situation when the inflorescence occurs simultaneously with the leaves. 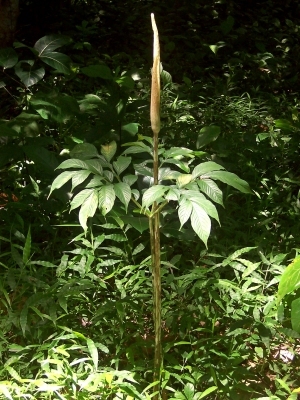 The plant is sometimes gathered from the wild for its edible tuber and young shoots, which are eaten locally.